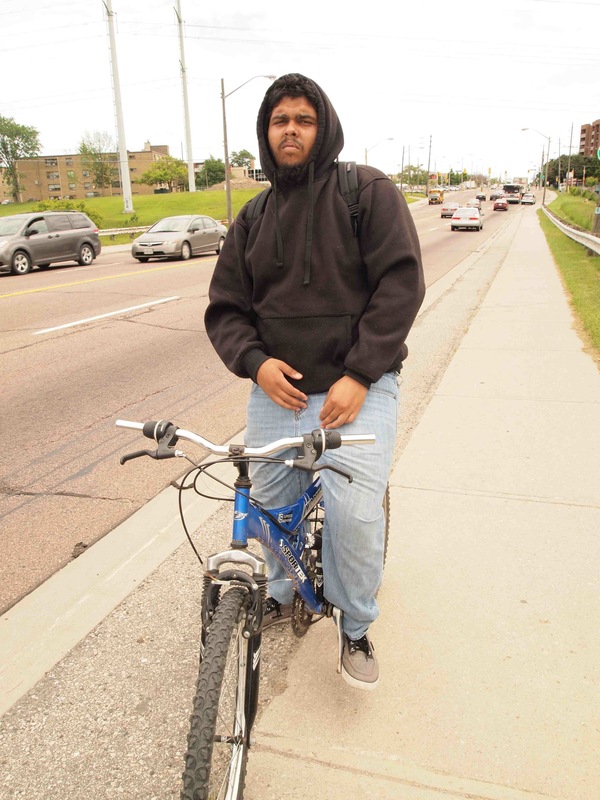 For our Summer 2013 Safety issue, we did an epic series of Bike Spotting throughout the city, including Scarborough and York University. Yeah, I think it’s alright, the only threat to my safety is myself, right? I mean it’s not really anybody else’s fault if I get into a crash or anything like that when I’m riding on the sidewalk. I think it’s pretty safe though. I never really bike on the roads, I think that would be a lot more dangerous. 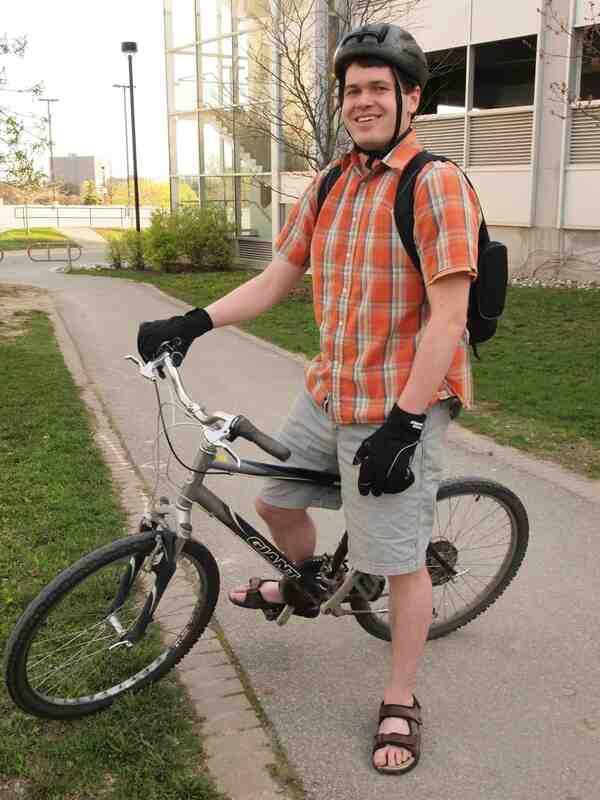 I do notice a lot of people biking around here though. MF-In this area? Yeah, for sure. AH-It’s not safe in general, whether you’re biking or not. MF- I’m not too sure how they could even improve safety in the evenings. MF- You get a lot of security bulletins and police emails about things that are taking place. But as far as biking on the street with cars goes, I’ve never felt in danger or that they were speeding too much. On campus it’s fine because I’m usually the one who’s going to be hitting another person. 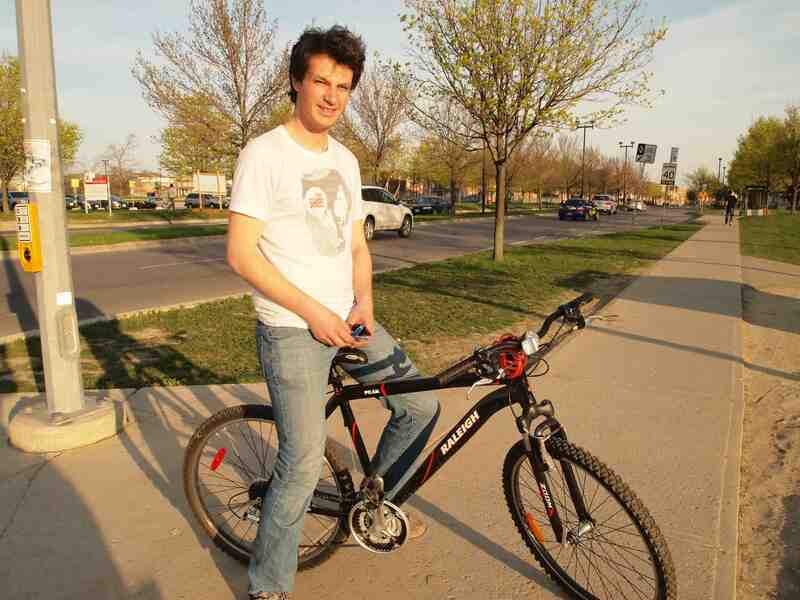 I’ve only been hit once by a car, but that was on Steeles when there was no bike lane. When I’m travelling on Sentinel with the bike lane it’s fine, as long as you’re aware of the idiots on the road, essentially. But yeah, I generally feel safe. I’d say more bike lanes on major routes would probably be the simplest way to make it safer. Yeah, I absolutely feel safe. It’s the first time I’ve been around here with my bicycle and you have cycling lanes on some streets. Otherwise, the traffic is not to bad. No, I don't feel safe because of all the construction with the new subway that’s coming to the university. If anybody wants to ride on Steeles from Jane anywhere up to Keele, you’re close to traffic and you feel like you’re being squeezed like a pancake. Because of the construction a lot of the bike lanes have been cut back until the subway has been built and that could be another two years. I think they should put more bike lanes in, that should be the number one priority. It’s been a big problem because the city hasn’t had that much infrastructure for many years.